James Arthur Ray has been studying philosophy, neurosciences, quantum physics, psychology, biology, and spiritual traditions to business since he was a teenager, which has given him great perspective on what it takes to be a leader and ultimate performer. 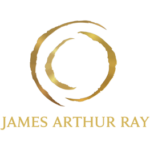 In an effort to offer top-notch life and business advice, James Arthur Ray uses this blog to explore what it takes for individuals to achieve true greatness and find their personal callings in life. In his latest teachings, James Arthur Ray explains why hurry is actually a form of fear in disguise. James Arthur Ray urges those who hope to become leaders to envision the outcomes of their goals in their mind. The next step is to hold that vision and act upon it. Irrespective of how current circumstances appear. Turning away from appearances and keeping focused on the vision is the most difficult work you’ll ever do. That’s why so few even come close to their potential. Appearances are seductive; and while you can’t ignore your current situation, James recommends you put a little attention on your current situation (enough to handle it) and a LOT of attention on your vision. While it’s the most difficult work you’ll ever do, it’s also the most rewarding. It’s what separates the Titans like Musk, Branson, Jobs an others from the amateurs. So how does this all connect to the concept of hurrying? 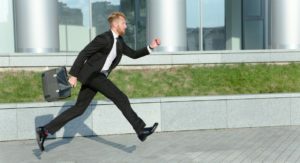 Well, James Arthur Ray explains that hurrying is grounded in worry because hurry is predicated in the belief that “it’s not coming” or “it’s not going to happen” with “it” being whatever your goals are. James Arthur Ray cautions not to confuse hurry with excitement. Excitement comes naturally when our goals and intentions come to fruition in an organized and verified way. While this excitement might have many of the same physiological characteristics as hurry, it is a completely different mindset grounded in the certainty that your outcome is going to happen. When we don’t know what’s going to happen is when this excitement, preparation and expectation turns in to hurrying, which is a sign of a person having no patience or self-awareness of who they truly are and what they’re really capable of creating. It’s a complex concept, and James Arthur Ray states that part of this practice includes learning to create versus compete. James Arthur Ray believes that to compete is to compare, which means energy is being focused in unproductive areas. Comparing to the results of others tends to make us hurry and worry. You only can compare and compete with your previous best effort. Don’t fall victim to your own worry or the pressures of competition. Heed the advice of James Arthur Ray and become a true leader who lives with a purpose.